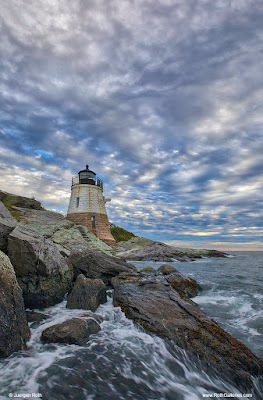 New England is a heaven for photographers; there so many beautiful spots to visit and photograph. 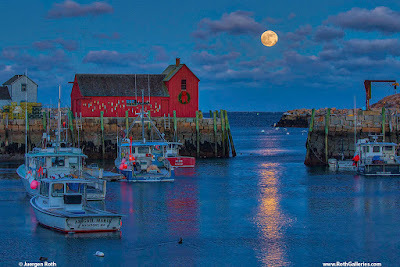 This blog post compiles my personal favorite New England photography images from 2018 - enjoy. 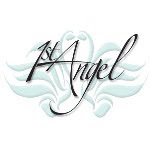 Feel free to share, comment or like, always appreciate the feedback. 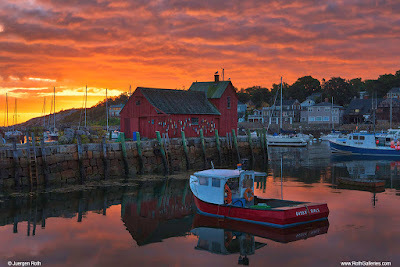 Join my Newsletter for special photo print promotions and photography events, thanks. 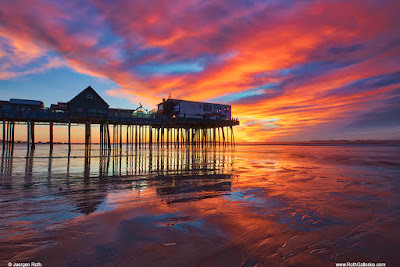 New England fall foliage is famous throughout the world and visitors flock to Maine, Vermont, New Hampshire, Massachusetts, Rhode Island or Connecticut to experience it first hand. 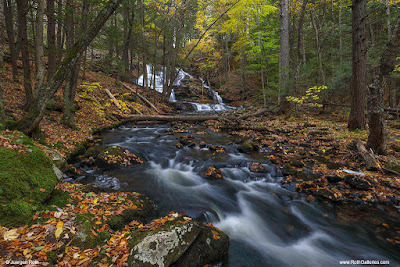 Waterfalls make for beautiful photography subjects year-round but particular in the popular fall season. 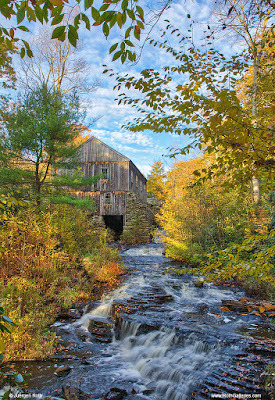 That's the time of year when you find me visiting many of the Most Beautiful Waterfalls of New England. 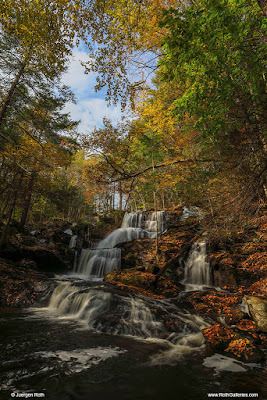 Garwin Falls is one of these New Hampshire waterfall gems. 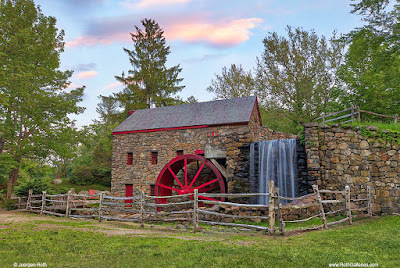 The falls are located in Wilton, NH. On my last visit I was blessed with beautiful light that lit the main waterfall in wonderful tones and hues. 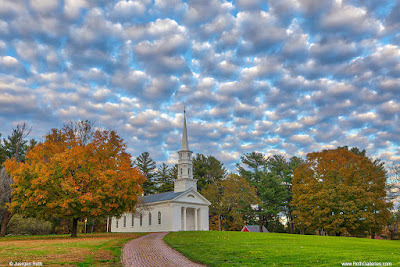 As so often in photography, the magic did not last long and I was lucky to have made my way to the spot I had in mind. I was pursuing long exposure photography images with a 6 stop ND filter from Lee Filters when the sun all of a sudden broke through and provided pristine light on the waterfall. 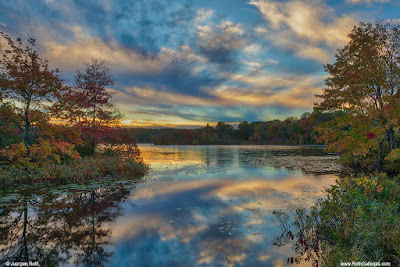 I quickly removed the ND filter while praying that the light please last a bit longer. 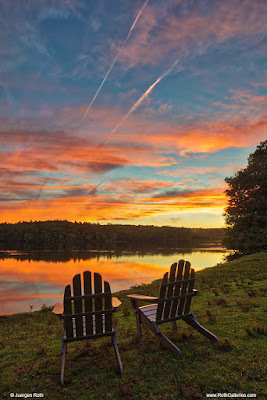 I then installed a B+W polarizing filter, positioned the filter to eliminate unwanted glare and boosting colors and started capturing this magical moment with my camera. 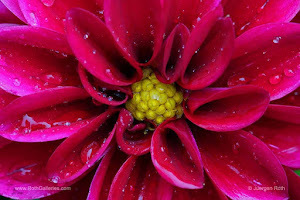 A small aperture at f/22 provided Depth of Field and a 1/5 of a a second shutter speed at ISO100. During post processing I adjusted lighting, contrast, color saturation before sharpening the final New England waterfall photo of Garwin Falls. This second shot was taking on my way back from above location and shows the waterfall from a different angle with its surrounding environment. 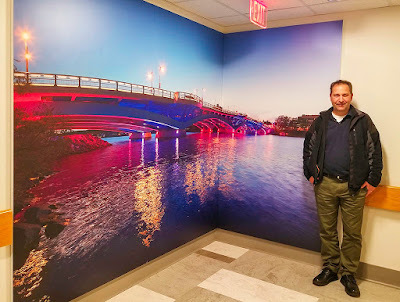 This image shows my latest photography wall art mural installation featuring the Burns Bridge in Worcester, Massachusetts at twilight. This bridge with its unique architecture is beautiful illuminated by lights at night. 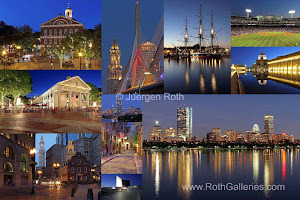 I took 50 individual photos that were stitched in post processing to a single gigantic gigapixel file. The final large photo print was 10 by 14 feet. Photo Wall Art Murals are digital photo images created from tens or hundreds of photos that are stitched in post processing resulting into a single high-resolution photo image that contains fascinating detail within one brilliant photography wall mural. The final interior design wall art decoration product is comprised of millions of pixels resulting in a high-resolution image file that can be printed super large with amazing image quality. 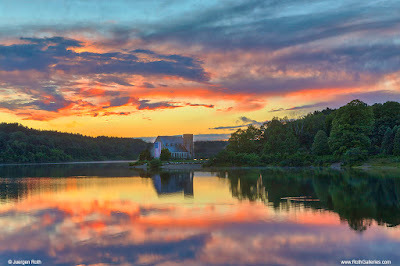 The final high-resolution file ensures that the large wall art prints are crisp and vivid. Gigapixel Photography images are good for large crowd events and ideal for large and very detailed and landscape, seascape, architecture, and skyline photography wall art prints and interior design projects at airports, hotels, hospitals, healthcare centers lobbies or any other large wall space that requires a unique transformation into art. 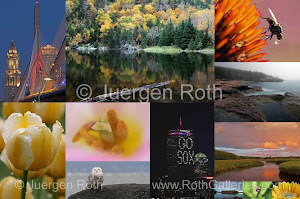 Learn more about photo Interior Design Wall Art Murals in high-resolution from Juergen Roth Galleries or Inquire Here with your individual interior design project needs. 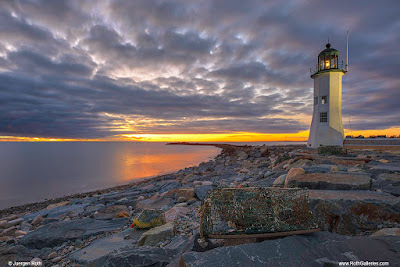 Late last month I visited Scituate Light on Cedar Point in Scituate, Massachusetts. 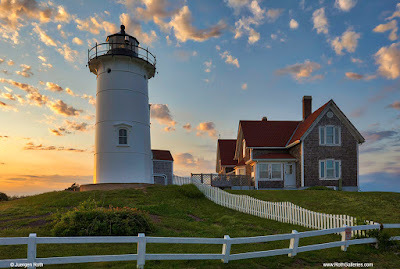 The New England travels awarded beautiful sunrise light and cloud cover. I approximately arrived 30 minutes before sunrise and immediately made my way up onto the seawall. The first thing that caught my eye as another photographer. 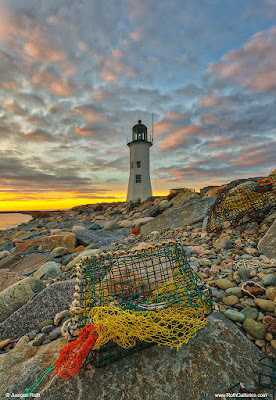 After a brief hello I noticed a few lobster cage washed upon the seawall and pebble beach below the lighthouse. I knew that some of those traps would find their way into my photography for a more pleasing composition and as an effective foreground element. 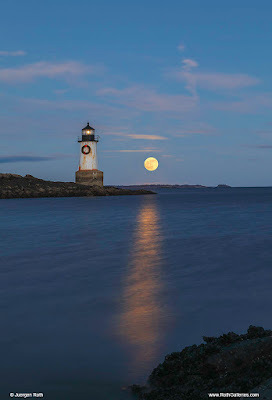 It was very exciting that the light of the lighthouse was still shining strong after I set up and started photographing. 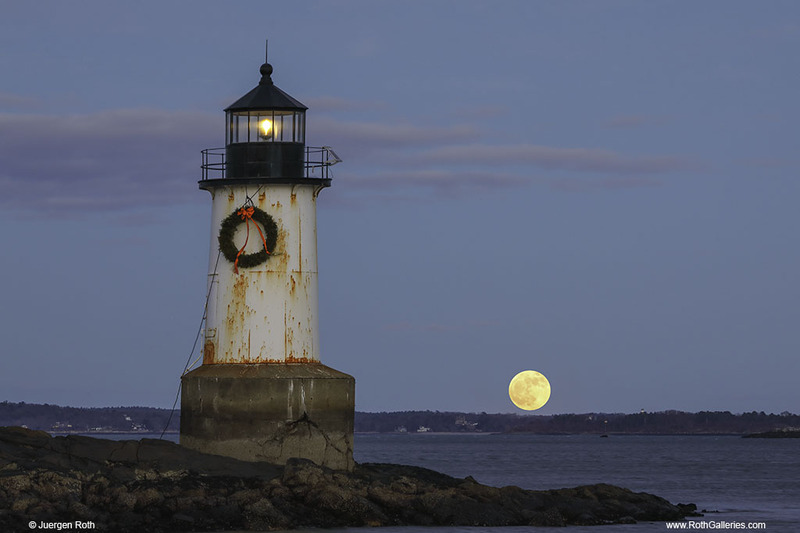 Unfortunately it didn’t last too long and after two frames the magic of a New England lighthouse beam was over. 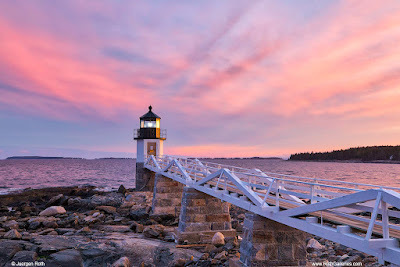 Nonetheless, two frames were enough to capture this lighthouse image of Old Scituate Light with the seawall and lobster cage in the foreground and a beautiful wee hour sky that provided a dramatic backdrop. 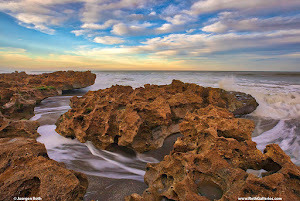 Aperture for this image was f/11 resulting in a 15 seconds exposure time at ISO100. 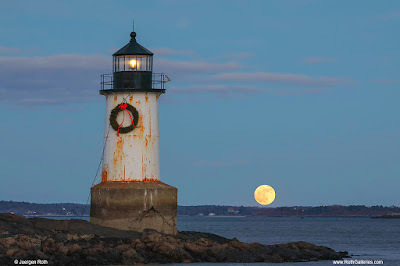 During post processing I adjusted brightness, lighting, saturation and contrast before removing dust spots and sharpening the final image of Scituate Lighthouse.